All cards are on a black background which makes them look rather striking. The suit symbols and pips are coloured, intended to help reduce eye strain for people who find it difficult to distinguish the suit signs: spades-yellow, diamonds-white, clubs-green and hearts-red. Packs have 52 cards + 1 joker. 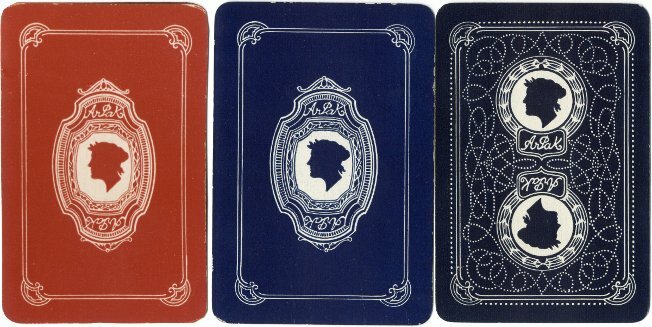 Several different formal back designs are known, in red or blue and white, and some decks have gold edges. There are two different sizes of indices and widths of outer borders. 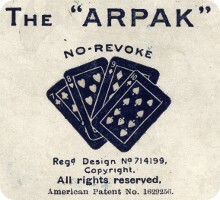 Arpak No-revoke decks are also known with advertisements on the reverse. 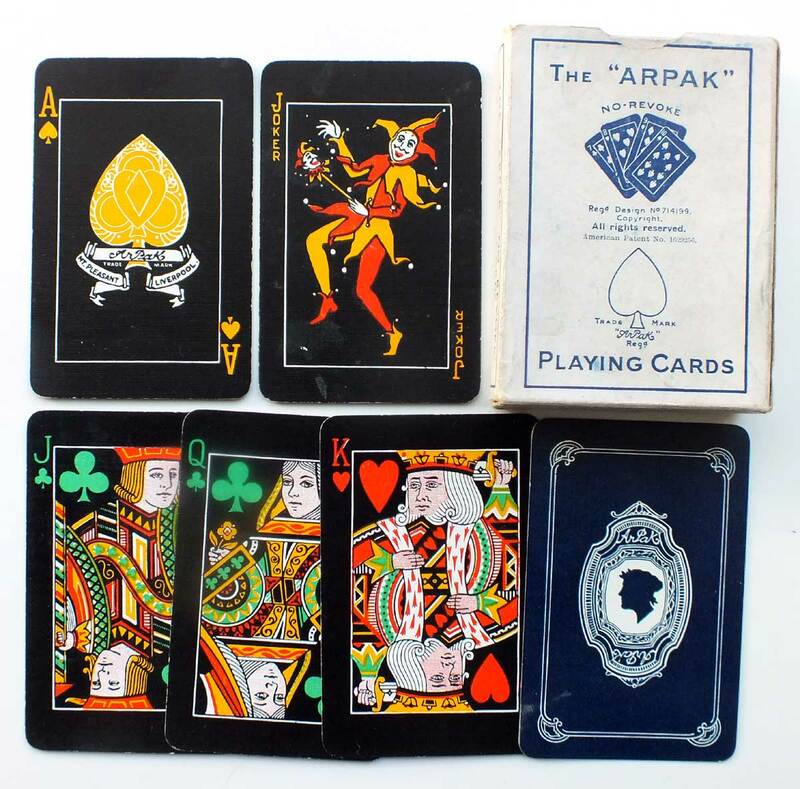 Above & Left: Arpak No-Revoke playing cards, c.1930, showing both sizes of indices, the Joker and some common back designs. There was no uniformity or standardisation regarding the colour scheme in different No-revoke packs. 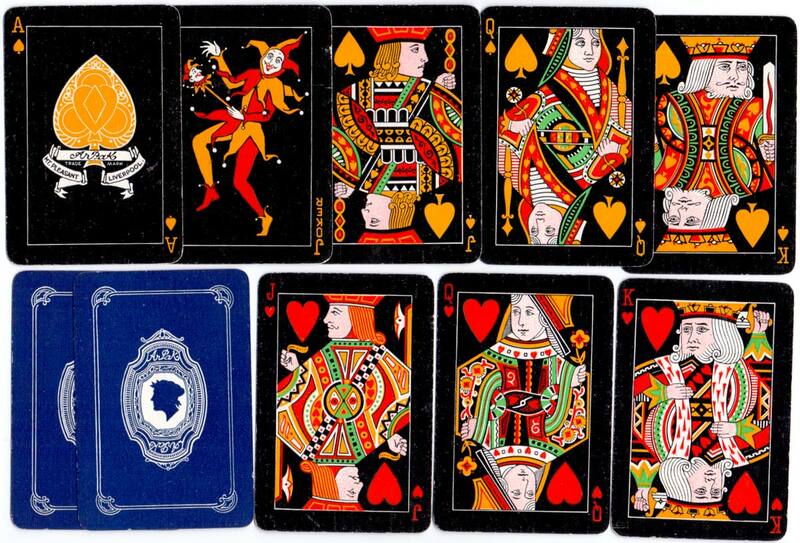 De la Rue introduced an Optic pack in 1900 with spades-blue, diamonds-yellow, clubs-black and hearts-red. 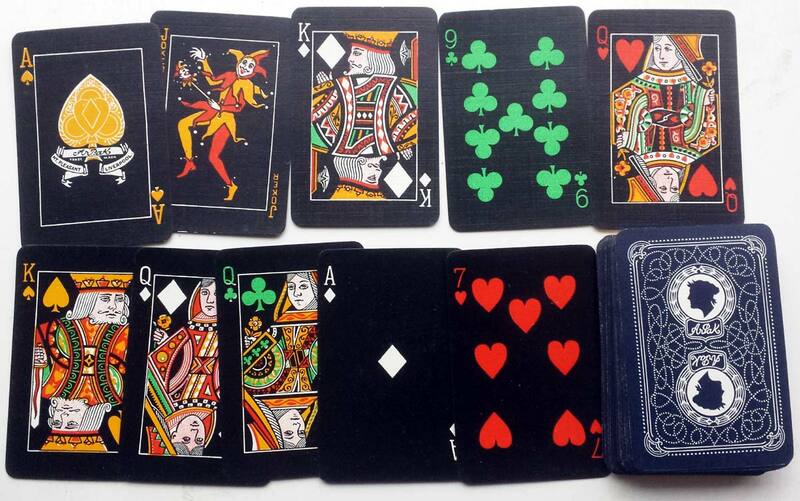 De la Rue & Co issued another pack in 1915 with spades-black, diamonds-orange, clubs-blue and hearts-carmine. 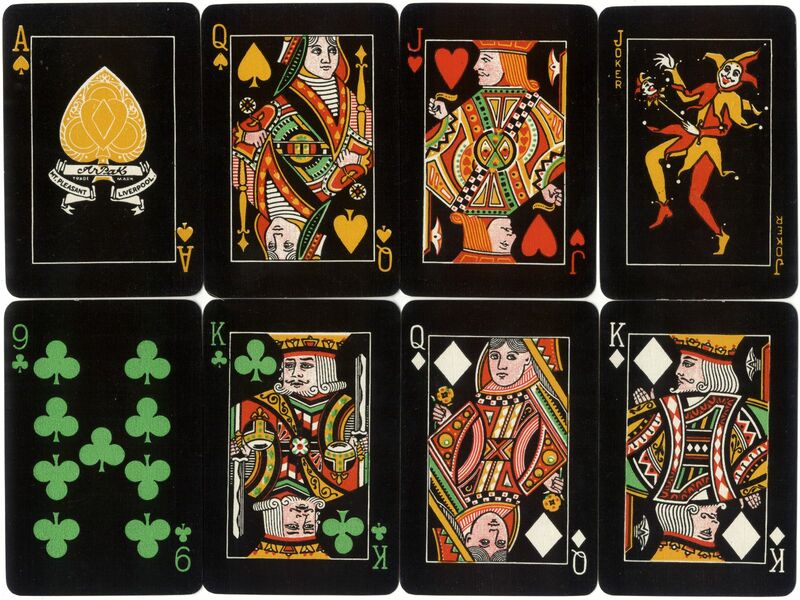 Universal Playing Card Co Ltd introduced their No-revoke pack in 1930 with spades-black, diamonds-red, clubs in black hatching and hearts in red hatching. Waddington's introduced their No-revoke pack in 1930 with spades-black, diamonds in red diagonal stripes, clubs in black & white and hearts-red.